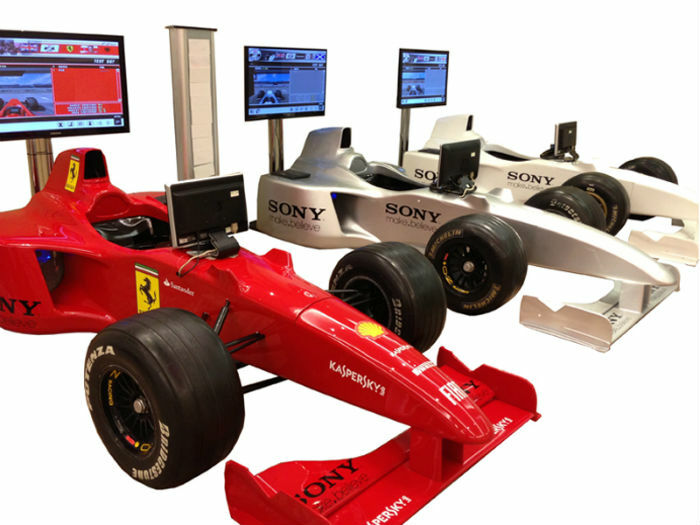 F1 Simulators can provide the fantastic full size Formula 1 simulators – a formula 1 car that anybody can drive! 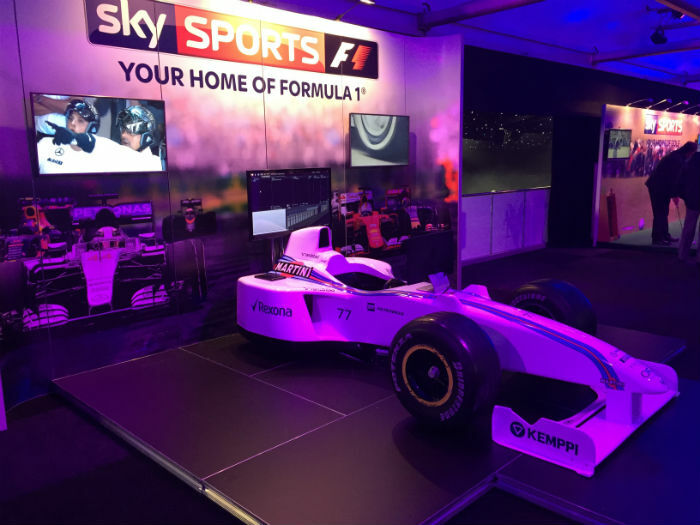 They can also provide a smaller version of the simulator, just the front half of a Formula 1 car – the same fantastic entertainment package in a smaller size. 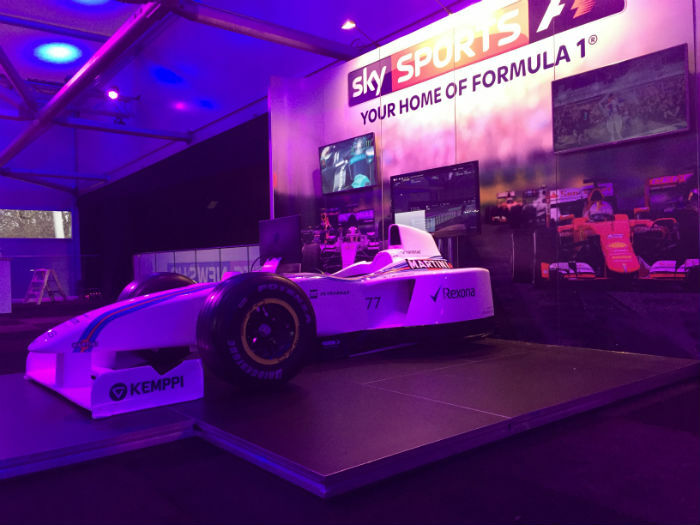 Also available are Formula 1 Show cars for static display which allow guests to get up close and personal to a Formula 1 Show car, certain to attract attention. 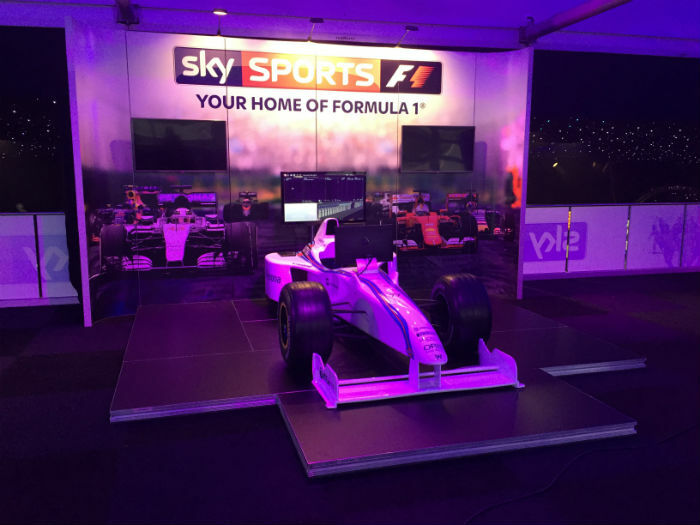 Or for team building or away days why not try the Formula 1 Pit stop challenge. Have you ever wondered how the F1 mechanics change a wheel in under 6 seconds? Think you can do better? Now is the time to prove yourself with our fantastic Formula 1 wheel change challenge! This can be performed on either their full size Formula 1 car (which allows all 4 wheels to be changed) or on a smaller car (allowing both of the front wheels to be changed). All equipment is included. All simulators come with multiplayer options, large screen projection and a live timing system. They are also able to host a fastest lap system allowing competitions for the best driver of the day! These packages are available for all day or all night hire.